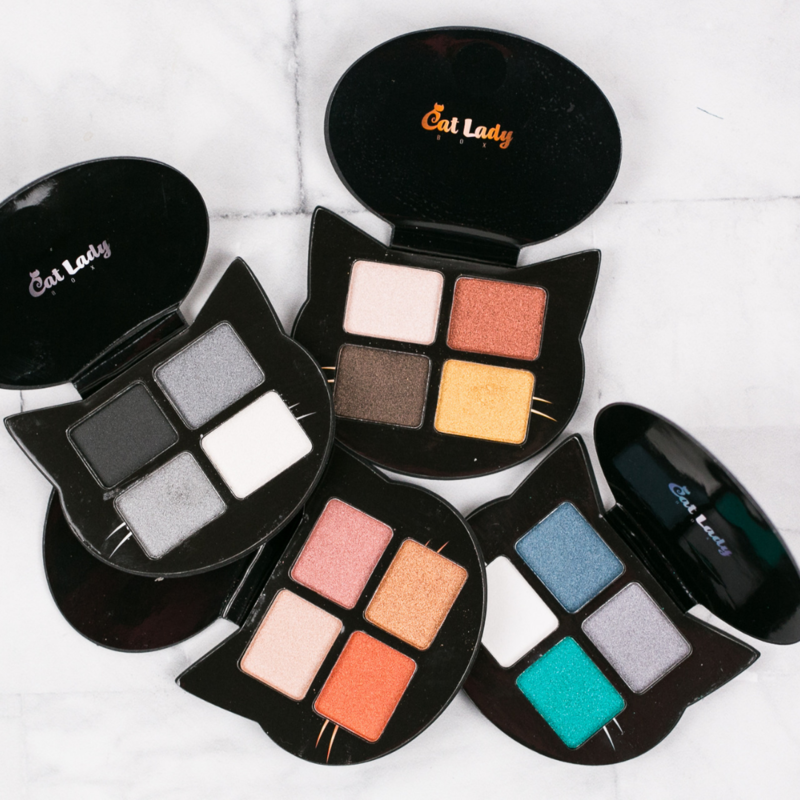 Cat eyeshadow palettes inspired by all the colors of the kitty rainbow! 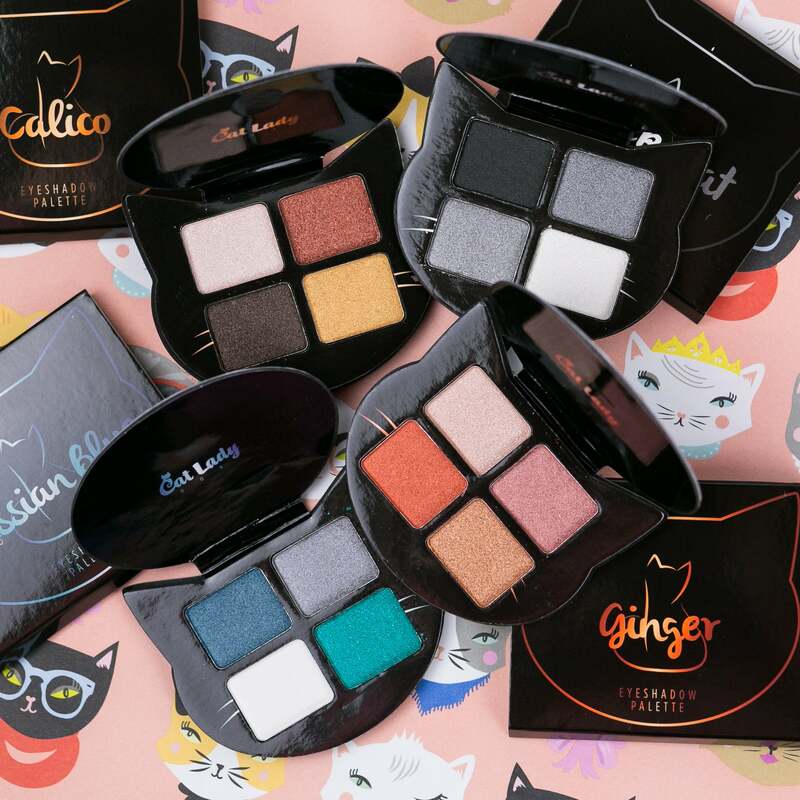 These exclusive cat eyeshadow palettes come in Calico, Black Cat, Russian Blue, and Ginger. 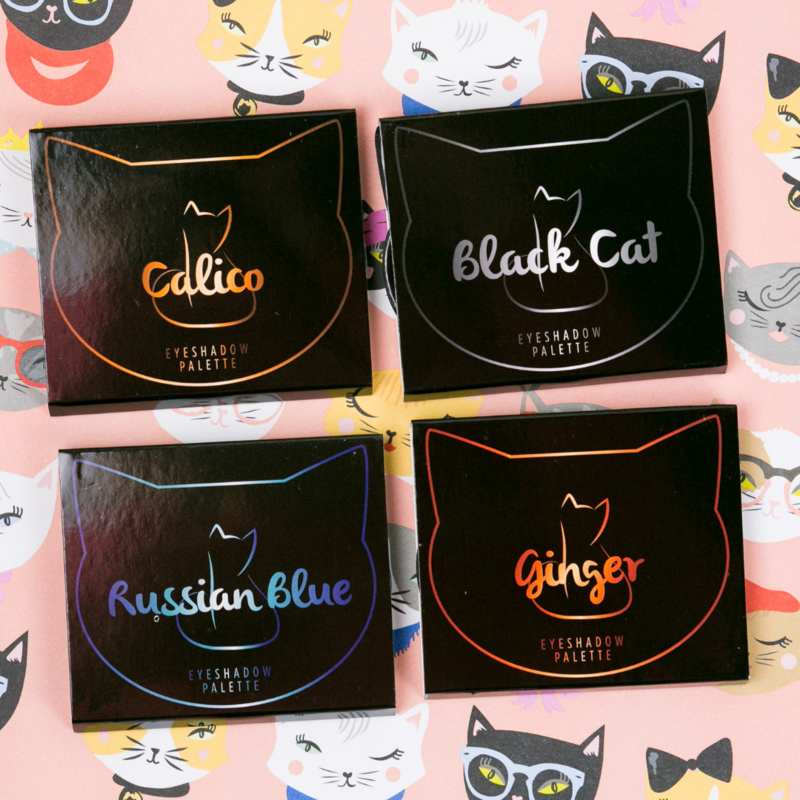 Each one features four colors inspired by each type of kitty! 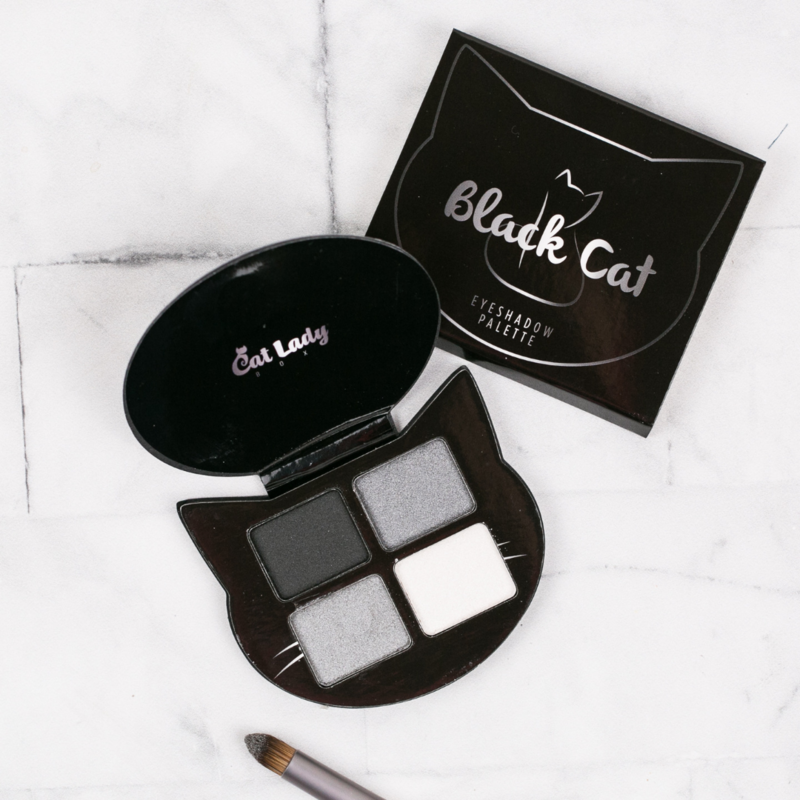 Grab all four for the ultimate cat lady makeup collection! 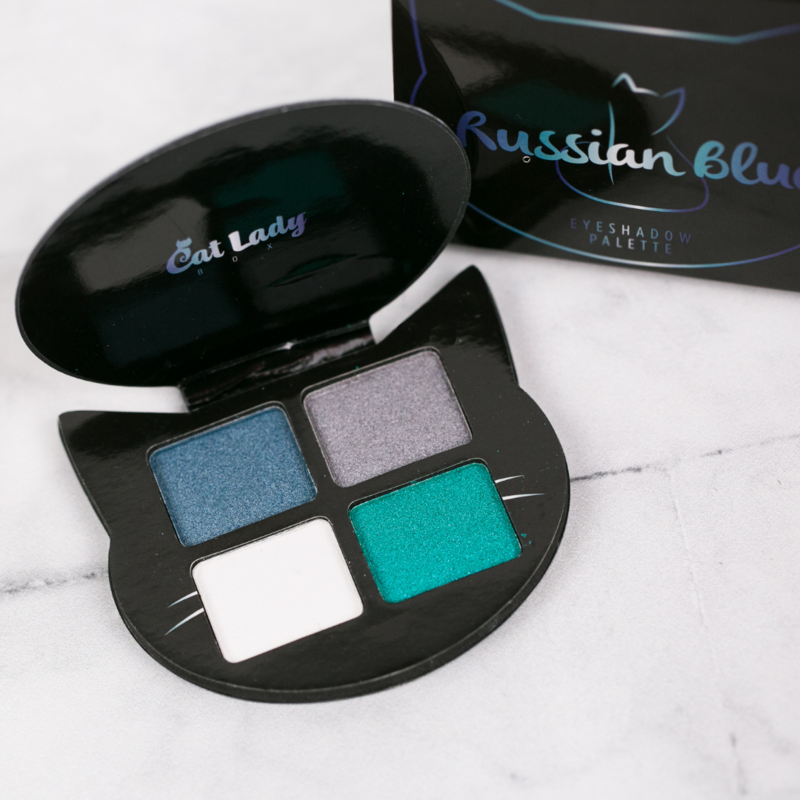 Shimmery, highly pigmented, and cruelty-free, of course. 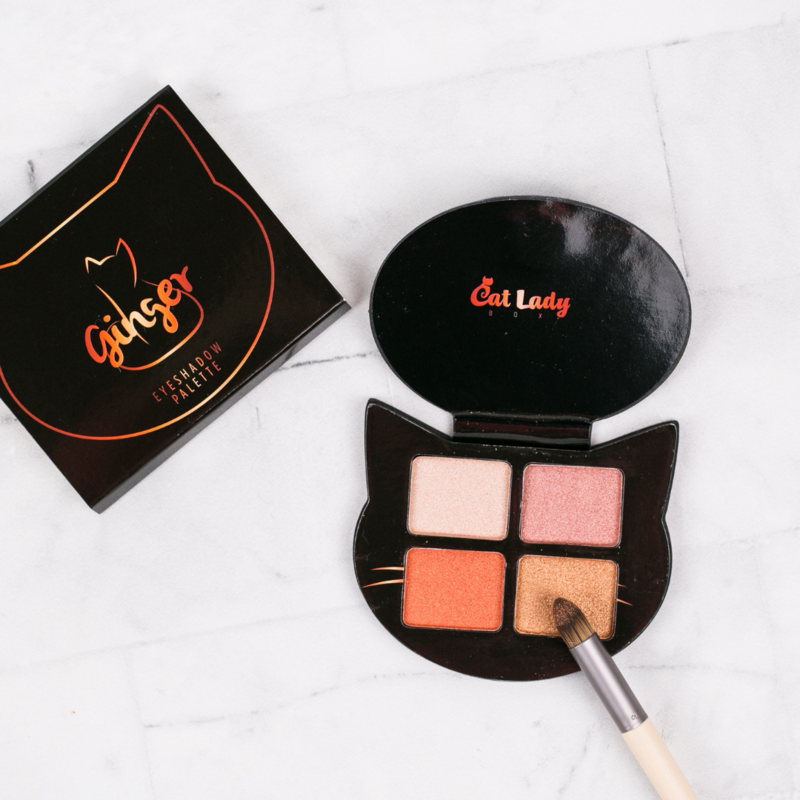 Each cat makeup palette sold separately. 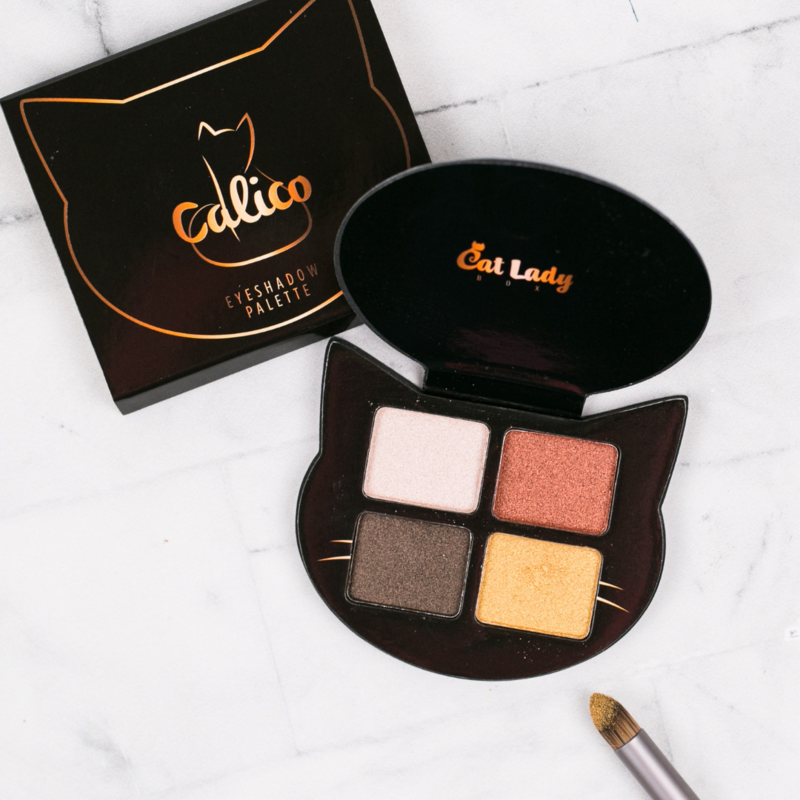 Made exclusively by CatLadyBox and originally featured in our “Meowlentine’s Day”-themed box.